"To give anything less than your best is to sacrifice your gift"
YOU MUST SET YOURSELF ON FIRE"
Each student is required to fulfill (and record) 10 achievements they consider to be “Personal Victories.” A Personal Victory might be doing something you’ve always wanted to do or finish (skydiving, meeting a hero, finishing a degree, making amends with someone, running a marathon, losing weight). Personal Victories will be entered in your journal and documented in the Black Belt Promotional Workbook. Due over the next 5 years after promotion....10% due Now!! An integral part of the Black belt Promotion is in the mastery of your martial arts skills. To polish these skills each student is required to put together a demonstration An integral part of the Black belt Test is in the mastery of your martial arts skills. To polish these skills each student is required to put together a demonstration (a “Testing Performance”) featuring their personal martial arts test requirements and curriculum. A Testing Performance is a demonstration of the techniques and skills you have mastered in your martial arts career and for your test. As a part of the Black belt you must have performed your Testing Performance in front of 10 different groups. Those groups may include your students, your peers, your seniors, and various groups in your community. Your Testing Performance is made up of those skills that make you look the best. You get to design it yourself. Due Now!! 52,000 (minimum) push ups and crunches are required by final exam. That's 1000 a week, 150 a day per exercise. Needs to be completed by (3rd level Black) third Dan promotions. 10% min due now!!! 1000 rounds of sparring (stand up and/or ground fighting) are required by final exam time. That's an average of 3 rounds per day. Rounds must be 2 minutes or longer. 10% due Now!!! Each participant in the BBT must complete 150 hours of Jiu-Jitsu mat time (three hours per week). Ideally each candidate would earn a blue belt or equivalent in Brazilian Jiu Jitsu or any NHB style grappling. The official BBT Grappling Coach is Renshi Joe McClellan, but candidates may use anyone (and there are a 1000 great instructors around the world) for instruction and ranking. 10% Due Now!! Students must have a minimum of 20 hours of training with a boxing or Muay Thai boxing coach. Mr. Matt Watson may be consulted for this training. 10% due Now!!! Students must come to the final exam in the best shape of their adult lives. Each student, prior to the exam, is required to follow Mr. Keever's diet and training program from his Gym and any reading material he assigns. Due Now!!! 14.Empathy Training - Check out this great example! Candidates are required to right three wrongs they've done in their lives or mend three broken relationships. If this applies. Age and life experiences will be consider. To be completed over the next 3 years. Keep a record. Always be truthful. 17.Preform all AFSKC material. An integral part of the Black belt Promotion is in the mastery of your martial arts Material. you will have a skill, stress, and spirit test. Candidates will show their " heart of a Warrior with precision " I can do this " inner and outer strength " I am a Black Belt" can you live it ? can you do it? Earth-water-Fire-wind ... Can you take it!! !Due NOW!!! 18 Each Year challenge yourself...Breaking..running..Bed of nails..walk on broken Glass. Walk on Fire? Make time to visit other Schools....GOOD LUCK IN YOUR BLACK BELT LIFE JOURNEY!! 21. Spirituality Training: Are there things you would like to accomplish but have been unwilling to consider because you've always thought they would be impossible? If so, begin changing that pattern by acknowledging that all things are possible when you are connected to a higher power. When you feel inseparably connected to the source of all creation, at all times, then all things are indeed possible! 22. 1000 word essay on " What earning a Black belt in " American Shorei/Shorin Karatedo" and "American freestyle Karate" means to me " describe your impression of the techniques, history, philosophy, and a Bio of you journey to Black belt ( when you started and what you've done and a what you are going to do . If we ask you to rewrite, we only want more info, so it's OK to have to re-write. 23. Test questions before the test and after which will encompass basic knowledge, application, and history of your martial arts. Each question will be worth one point and you must have 15 points to pass. 24.Black belt Quality: beyond knowing the techniques after 4 years or more, do you consistently demonstrate the following key qualities to be a Black Belt in American Shorei/Shorin Karatedo" and "American freestyle Karate"
25.Once completion of Black Belt exam, it will be (6) six Months before the Black Belt certificates are issue as this will serve as a probation period. Teaching requirements and promises will be meet. *you are ever carefully observant of safe and controlled technique practice with partners. Jesus referred to his miracles and said" All that I have done, you too shall be able to do And even far greater things than these. I encourage you to study the Bible...number one book ever ! ALWAYS TELL THE TRUTH AND BE IN THE PRESENT...IT WILL SET YOU FREE!!!!!!!! Congratulations to our New Black Belts. For the first time in 30 years we have promoted a woman to Black Belt and not only did we promote one...but two. At the end of the three day review, it was a test of will, faith and courage. The Brown Belts started as concerned and doubtful students and left as Black Belts with the "Heart of a Warrior" . The Black Belt panel of review which was without a doubt one of the best in the American Shorei/Shorin Karatedo and American freestyle Karate history made comments all weekend about the heart and the power and character of each candidate. It is a sad time for me after a Black Belt exam. I always leave wondering if we did enough to change their will to win and their Tomoe Warrior character. 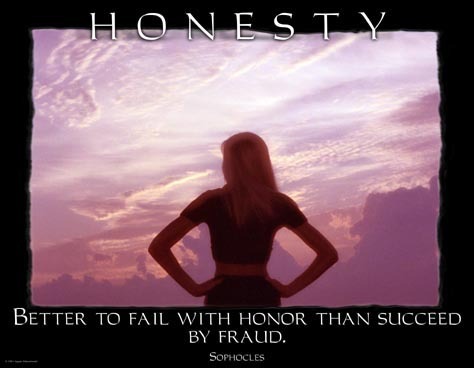 Honor and Truth we speak, but will they live it, as things will never make us happy. Giving will make you happy and I always give with an open heart. I want every Black Belt to feel that I supplied the material to change the Tao (Way) in their life. My door is always open to my Black Belts. As long as I am breathing you have a person who you can talk with and share with for the rest of our time on this earth. We are all connected to a higher creator and God should always be first in your Heart. I take every Black Belt exam serious and only we can hope that we did give each candidate the skills to protect and guide them to greater goals in their life. It is always hard to let go...but we have to let go and let these New and Improved Black Belts stand on our shoulders and see new grounds to be covered in the Martial Arts World. This is a new beginning and they still have much to learn, but like the Bonsai Trees given at the Tea Ceremony, they will grow and be strong and someday be a beautiful Tree to the Martial Arts. All Black Belts can feel free to visit the Test site and feel the energy you left and mediate and remember the steps you took into Black Belt and your sweat and love of the Art that allowed you to complete this awesome Test. I have always loved karate and every day I think of God and my family and Master Funakoshi. He said "think of everyday as Karate Training", and I do. "Funakoshi was a man of Tao. He placed no emphasis on competitions, record breaking or championships. He placed emphasis on individual self perfection. He believe in the common decency and respect that one human being owed to another. He was the master of masters. I am now a Master of Masters and it feels good that God gave me the heath, and family and courage to never give up on my students and love of Karate. In closing People always ask me why our exams are so long and our thoughts are "we have high Standards for our Black Belt and each time we raise the Bar"
Much respect & that is all I have to say!